During Bowel Cancer Awareness Month in April, we’re encouraging people to take part in bowel cancer screening. In April alone across the UK, nearly 3,500 people will be diagnosed with bowel cancer and over 1,300 people will die of the disease. It’s the nation’s second biggest cancer killer, however it shouldn’t be. It’s treatable and curable, especially if diagnosed early. On average 59% of people living in Northern Ireland who are sent the bowel cancer screening test for free in the post actually complete it, but this drops to 57% in Scotland, 56% in England and 54% in Wales. Screening can detect bowel cancer at an early stage in people with no symptoms when it is easier to treat and a greater chance of survival. If you’re registered with a GP and aged 60-74 (aged 50-74 in Scotland), you will receive a test in the post every two years. You carry out the simple test at home in private and it comes with step by step instructions. The test looks for hidden blood in your poo, which could be an early sign of bowel cancer. 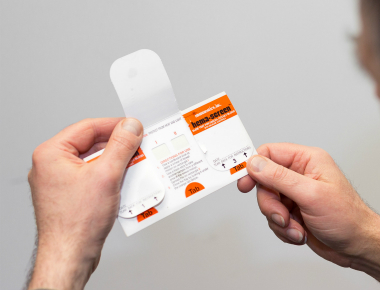 From 2017, Scotland, Wales and England will replace the current screening test with a simpler and more accurate test – the Faecal Immunochemical Test (FIT). FIT is a more sensitive test than the current one, and has the potential to detect more cancers and pre-cancerous polyps as well as increasing screening participation. Northern Ireland has yet to commit to replace the current screening test.